The Wall Driller is injection molded of engineered nylon or long lasting Zamac. 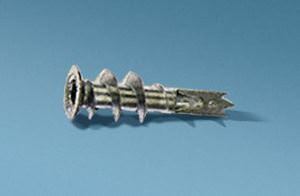 Its unique, slim design allows the fastener to make a small hole that does not disrupt the consistency of the drywall. 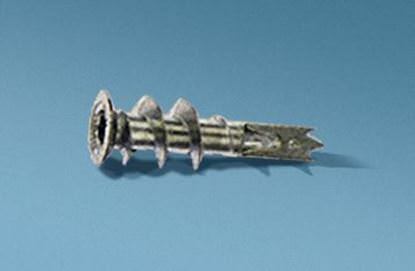 The anchor has a single point that drills a clean hole and prevents paper damage. The tapered, oversized head seals the hole with a flush mount.